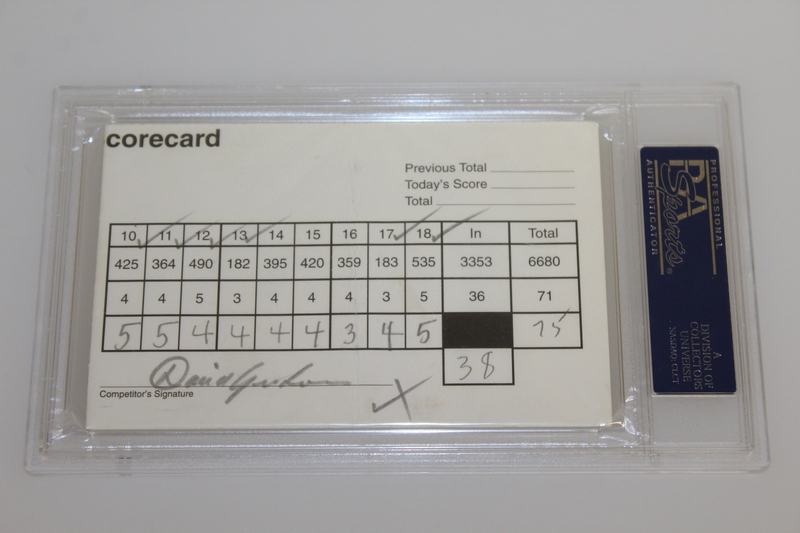 Offered here is a scorecard from 1996 signed by both Arnold Palmer and David Graham. Graham appears to have been the contestant for this scorecard, though it is not apparent which tournament this was from. 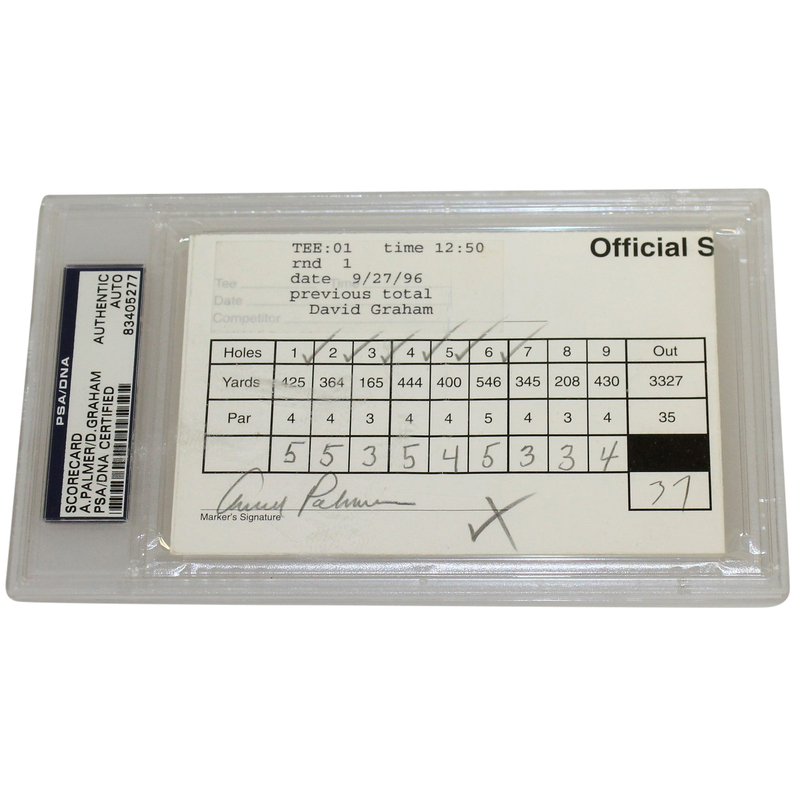 The scorecard comes slabbed by PSA #834052 with Graham's signature in pencil and Palmer's in marker. Arnie will always remembered for his contributions to the game, on and off the course. The Australian Graham was inducted into the World Golf Hall of Fame in 2015, having won the 1979 PGA Championship and the 1981 US Open.